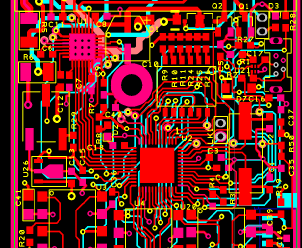 Whether it’s analogue, digital or mixed-signal, electronic design is at the heart of what we do. If you are in need of extra engineering capacity to support your in-house team through a tight spot, or completely new to electronic products, Blue Ripple can help through the process of concept, development, prototyping and on to certification for EMC and CE compliance. Whether you want Proof of concept, a working model or a limited prototype run, we can help you to build units with our in house Pick and Place facilities. Smartphone Remote, just one of many projects, but this one shows the different disciplines coming together.